pH adjustment is the most common brewery pretreatment requirement, and we design, build, install, startup, and train on those systems. We also offer general consulting and advice. Sometimes people just have one question about their wastewater situation. Or they want advice about drain layout. Or maybe they have a complex project? I offer the first hour free for all clients. If it’s a simple project, the first hour might be all it takes? If it’s complex, the first hour will get me up to speed and actually working on a solution before billable time starts. If you need a pH adjustment system or EQ tank, manual or automated, we regularly design these systems for breweries of all sizes. We supply the equipment and can ship most of it preassembled for installation by your local crews. Even better, we can come and install it and go through startup and on-site training while we’re there. This installation option has proven to be really successful. Even with the best plans it’s difficult to have a plumber install a system when he doesn’t know how it works, or to have an electrician put in a control system when they’re not used to anything below 110vac. 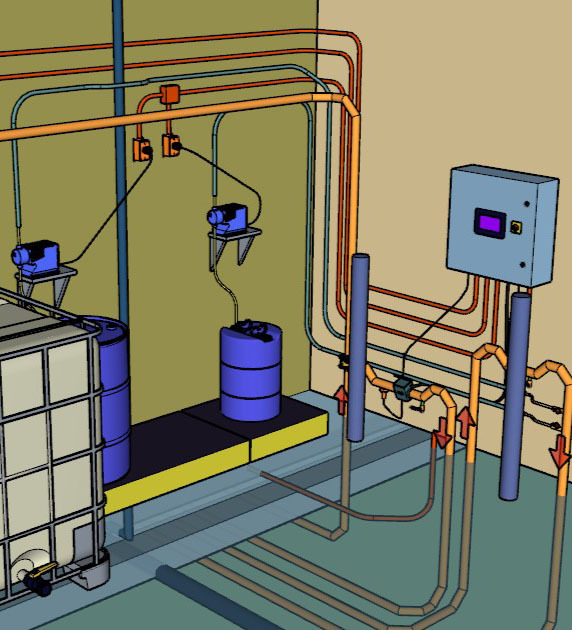 These systems aren’t a kitchen or a bathroom, almost no one has ever seen an automated brewery wastewater pH adjustment system much less install and start one up. Although I find it hard to believe, not everyone knows the details about brewery wastewater:) I start by getting a good understanding of the situation myself, then sharing that with the client. I usually start a project with a wastewater projection, then see how that fits within municipal regulations. Sometimes I move on to the City staff to educate them about brewery wastewater. It’s not uncommon for me to help city staff understand the nature of beverage producers and wastewater impacts. I had a client in Michigan where the city told the brewery their wastewater surcharges would be about $900 per day. This couldn’t be right! After digging in and correcting the math errors (on the city side of things), the surcharges were actually only about $20 per month. How much wastewater will your brewery generate next year? How about 5 years down the road? Is your future wastewater going to be a problem at the city treatment plant? Or maybe your brewery doesn’t even exist yet and you have these types of questions? I can create a wastewater model for a brewery that doesn’t even exist yet, and factor in growth and efficiency as the years go by. This is often the first step I take in a project. 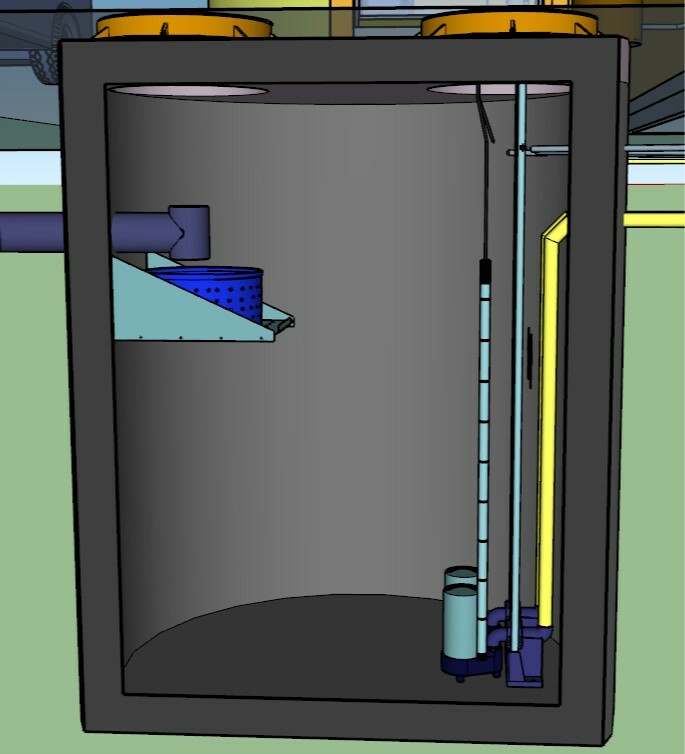 A few sample 3D drawings of mine are shown below for an underground, fully automated pH adjustment system. 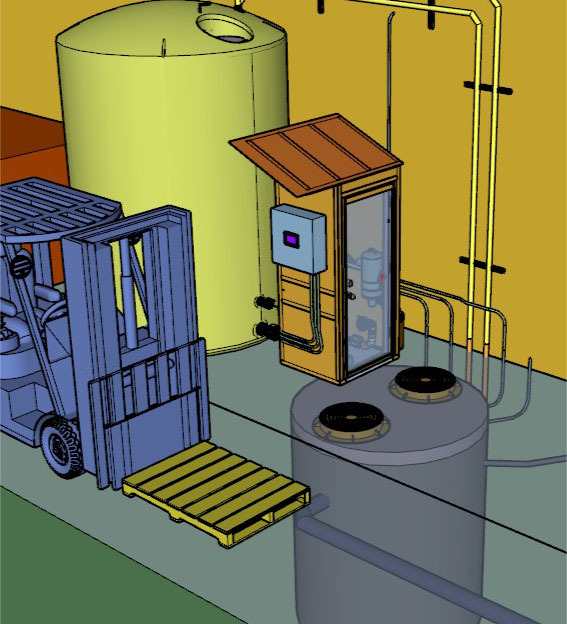 3D drawings like this are great, they’re the future of CAD work. I can even do 3D design work like this for the rest of your brewery if needed. Of course I can do 2D CAD work as well, but this is much better. A system like this is designed custom for your brewery based on your brewery size and local requirements. Some systems are quite simple, others are more elaborate. Controls keep getting more awesome. It’s a beautiful thing, but sometimes super awesome can be overkill. I can get creative with controls, depending on what your needs are. Some want simple and inexpensive, others want modbus communication with existing PLC’s. I partner with a controls shop based in Ohio with a lot of brewery experience. Our standard control panel has a 7″ color touch screen HMI; the PLC controls all valves, pumps, flow and pH meters, and level sensors. The system allows remote access, alarm emailing and text messaging, trend graphing, and more. And the best feature yet is it doesn’t cost an arm and a keg. In addition to the waste water control system, we can also provide an array of brewery control solutions. Fermenter temperature control, brewhouse automation, wastewater temperature control devices, whatever you might need. For a smaller system, this option is worth looking at. It can do everything the PLC system above can, or we can keep it simple and just do a few things; depending on what your needs are. This is a good way to save money but we need to pay attention to future needs, if growth is coming this can wind up being a more expensive option. Ugh, this is getting confusing. How much is this going to cost me? Which option is the best for our brewery? Should we be looking at onsite treatment? Should we start side streaming our high strength wastes? Where would it go? I help you answer these types of questions and compare all of your options. In several cases, I have worked directly for a city or engineering firm instead of a brewery. I have helped create surcharge structures, helped when many beverage producers come to town, and helped create cumulative wastewater models. I have a soft spot in my heart for farmers. There are several hops growers in the area, Billy Goat Hop Farm, LLC is one and they have Cascade, Chinook, Crystal and Nugget hops available. 2018 will be their first harvest year. I’m putting this up on my website just to help them out, I don’t want to be a middle man, please contact them direct if you’re interested. Best to all of you!